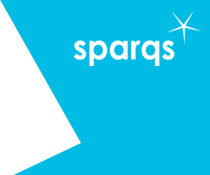 Until May 2013, sparqs has been involved in a consortium led by ESU (the European Students' Union) looking at creating a student conceptualisation of the quality of higher education. The project was known as QUEST for Quality for Students (or QUEST for short). QUEST involved the ESU Quality Assurance Experts' Pool, a team of students from across Europe who have been heavily involved in national quality activites in their countries. The project aimed to traine and develope members of the Experts' Pool; explore best practice across Europe through research and site visits; create online training to support students in quality; and run an international conference on the findings. Our role in the project was to train and develop quality experts through the design and delivery of three workshops. The first was held in Edinburgh in July 2011, the second in Brussels in February 2012 and the third in Bucharest in July 2012. You can find the agendas for each workshop below. To ensure the learning from QUEST continues beyond the timeframe of the project sparqs worked with ESU to develop a website that support students who are part of ESU external review pool, student representatives across Europe and institutional staff. One of the main resources resulting from the project is the Student Handbook on Quality Assurance. You can read more about the project on the ESU page about QUEST and access further resources developed throughout the project. For more information about this, please contact Eve Lewis.